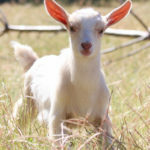 Goat milk is great for sensitive skin. It contains natural ingredients that help to remove dead skin cells, leaving new smoother cells. Goat milk also contains vitamins and minerals ideal for healthy skin. The cream found in goat milk is a natural moisturizer. 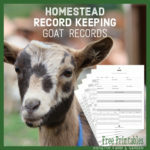 Our goat milk comes right from our small Nigerian Dwarf Goat herd. Coconut oil has high cleansing properties, produces a fluffy lather, and adds hardness to the soap. Olive oil is mild, making it ideal for sensitive skin. It also adds hardness to the soap. Sodium Hydroxide, or lye, is used in all real soap – even the store bought soap. They are just better at disguising the name. We mix goat milk, lye, and oil together. 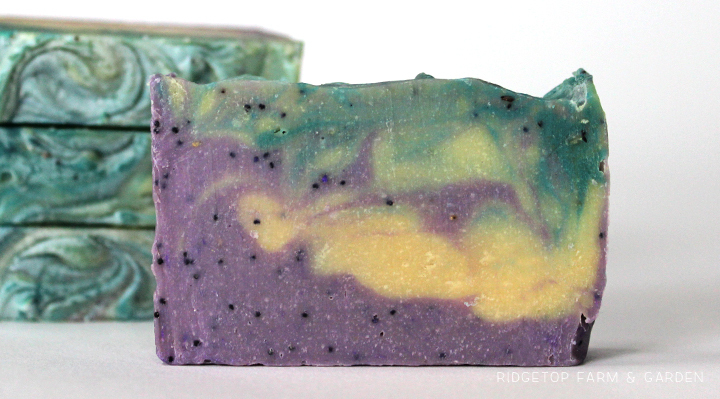 A few days later, the ingredients have chemically changed into soap. At the end of the curing process, about 4 weeks, there is no lye left – only pure soap. Almond oil has mild cleansing properties. Avocado oil is mild cleansing, high in vitamin E, and adds hardness to the soap. Castor oil enhances the lather in soap. Lard is used to add hardness to soap. It also produces lather. To be as sustainable as possible, I render the lard from pigs raised on our farm. Rice Bran oil is mild cleansing and provides the soap with a bit of a sheen. Shea butter contains many vitamins for healthy skin and natural moisturizer. 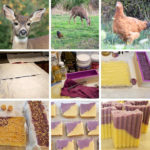 I use the natural scents of essential oils to add fragrance to soap. I am not a fan of strong smells, so our soaps are lightly scented. Mica is a group of minerals that have been purified and crushed into a fine powder. 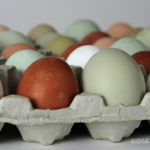 I use this natural source to add color to soap. Activated charcoal is especially great for those with oily skin, as it absorbs oils and dirt. I use locally sourced honey for the moisturizing and lathering qualities. It also gives a slight sweet scent. That’s it. You will only find a combination of these natural ingredients in our soap. No harsh chemicals that can be irritating to your skin.